First time homebuyers are often caught in a deluge of legal terms, numerical complications, and a long list of other buying insecurities. While there are plenty of thorough VA home loan resources available at MilitaryByOwner, sometimes key facts get lost in the shuffle when the amount of home buying information becomes overwhelming. Reacquaint yourself with these often forgotten VA home loan facts! 1. The U.S. Department of Veterans Affairs does not supply the money for the loan; they only guarantee a portion so lenders will be more likely to offer servicemembers the money to finance a home. 2. VA loans are typically intended to put military members in single family homes, condos, or modular housing with minimal issues to ensure a move-in ready residence. Loans for fixer-uppers are not generally not offered. 3. Loans for vacation or investment property are not permitted. The VA approves loans for primary residences. 4. VA borrowers cannot use their entitlement to secure property outside of the U.S., use the VA loan for business purposes, or buy farmland without a main residence for the veteran on site. 5. 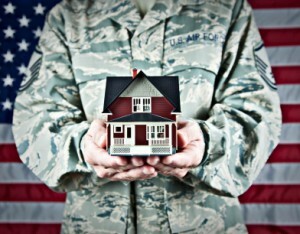 VA loans may be used more than once, even for refinancing. If you have remaining entitlement available, or if the initial loan has been paid back, the loan can be used again. Contacting the VA directly is the best way to review your Certificate of Eligibility (COE). 6. Servicemembers who have faced foreclosure or bankruptcy are still eligible for a VA loan. 7. Military members who encounter financial problems within the duration of their VA loan are authorized to receive support from the VA office. There, staff is dedicated to finding options to make the payments manageable and foreclosure preventable. 9. Although a VA loan does not require a down payment, borrowers should know this doesn’t mean cash isn’t needed for the transaction. Experts recommend having 5-10% of the home’s purchase price on hand to cover closing costs and earnest money. Having this amount of cash on hand should also allow for the payment of the VA funding fee, instead of rolling it into the loan. Expect to pay unforeseen costs to move in and make the home feel like your own. Buyers will want to spend cash on everything from new hardwood floors to updated light fixtures. Although the VA loan is a significant benefit for the military, it doesn’t come without its own details and requirements. Using qualified real estate agents and reputable lenders can make the process easier than navigating home buying for the first time alone. MilitaryByOwner has its own core of real estate professionals on the website to check out before your next PCS. Many have military experience or are military spouses who understand the nuances of buying a home within the framework of a military lifestyle. For further information about VA Home Loans, click below.